Over 100 women shared their stories. 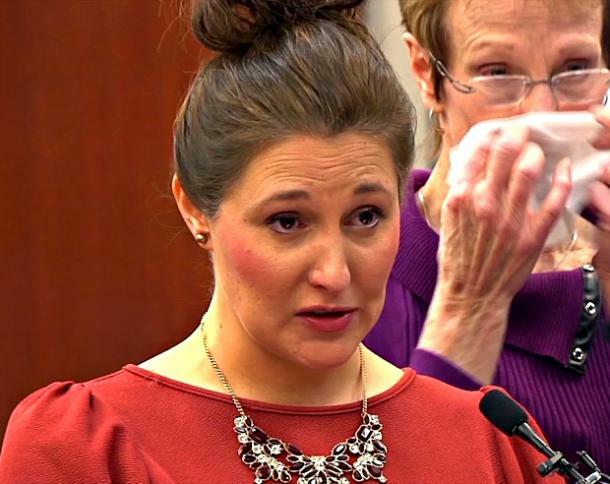 After more than 150 female athletes came forward to detail the horrific abuse they suffered at the hands of Larry Nassar, a judge sentenced him to up to 175 years in prison. Nassar, the doctor for some of the most well-known U.S. gymnasts like Aly Raisman, Gabby Douglas, and Simon Biles, pleaded guilty to 10 counts of first-degree criminal sexual conduct. The lengthy trial included testimonies from his many victims who gave detailed accounts of his abuse. During the trial, presiding Judge Rosemarie Aquilina read a letter Nassar submitted in which he called himself a "good doctor." "My treatments worked and those patients that are now speaking out were the same ones that praised and came back over and over. The media convinced them that it was wrong and bad," he wrote. "Hell hath no fury like a woman scorned." However, Judge Aquilina dismissed his letter and upon sentencing told Nassar, "I just signed your death warrant." The real heroes in this story are the women who came forward to face their abuser and the institutions who apparently protected him. During his trial, these incredible women, including Team USA Olympians Aly Raisman and McKayla Maroney, told story after story detailing Nassar's assaults. It takes a lot of grit and courage to face the shadow of your past. These women have done more than help put a serial child molester behind bars. They have encouraged survivors to speak up and take down abusers no matter how much clout the abuser may have. We can learn from their strength and take a stand against this horrific behavior. Throughout the trial, the brave athletes put into words what many sexual abuse victims may feel but haven't had the opportunity to say themselves. Here, 11 of the most powerful quotes and video from Nassar's victims' testimonies. "Larry is the most dangerous type of abuser. One who is capable of manipulating his victims through coldly calculated grooming methodologies, presenting the most wholesome and caring external persona as a deliberate means to ensure a steady stream of young children to assault." Denhollander was the first woman to accuse Nassar of sexual abuse in 2016, 16 years after she first met with Nassar for treatment. 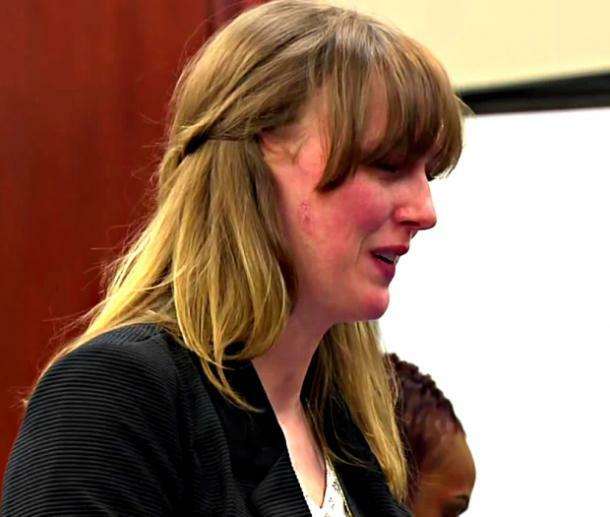 In her testimony, she spoke about how all of the institutions including Michigan State University and USA gymnastics failed the women they were supposed to protect. "So, I ask, how much is a little girl worth? How much priority should be placed on communicating that the fullest weight of the law will be used to protect another innocent child from the soul-shattering devastation that sexual assault brings? I submit to you that these children are worth everything. Worth every protection the law can offer. Worth the maximum sentence." "I'm possibly the last child he would ever assault. MSU sports medicine charged me for those appointments. My mum is still getting billed for appointments where I was sexually assaulted. I have never wanted to hate someone in my life but my hate towards you is uncontrollable… But don't get too excited Larry. You will probably never talk to a woman again except for one holding a gun, a taser and a belly club. Which is a good thing." Fifteen-year-old Miller revealed that she's still being charged for her visits to Nassar's office. 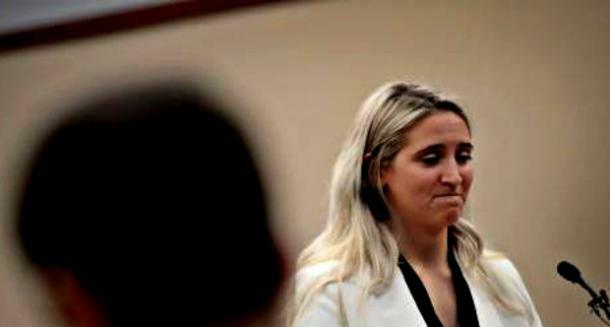 Miller noted that she's likely his last victim, as her last visit was in August 2016, which is shortly before Michigan State University finally suspended Nassar. "I am no longer broken by you. I every day I look in the mirror to see a strong unbreakable woman." "I will educate my children about monsters like you and pray to God they will never experience pain like this." "Over those 30 years when survivors came forward, adult after adult, many in positions of authority, protected you, telling each survivor it was OK, that you weren't abusing them. In fact, many adults had you convince the survivors that they were being dramatic or had been mistaken. This is like being violated all over again." Raisman is one of the most well-known athletes to come forward and face Nassar in court. The Olympic medalist last saw Nassar in person in 2015 and told Today that seeing him in court made her feel sick. She also called for an independent investigation of USA Gymnastics, the U.S. Olympic Committee, and Michigan State University. "You do realize now that we, this group of women you so heartlessly abused over such a long period of time, are now a force and you are nothing. The tables have turned, Larry. We are here, we have our voices and we are not going anywhere." "What have you done, my words are to you, Larry. We both know I've known you for basically all of my life. In fact, I've known you for 31 of 37 years. I defended you with my whole heart. It breaks my heart to see photos of you this way. But, Larry you did this to yourself." Gonczar is reportedly one of Nassar's earliest victims. She reports that she received an "intravaginal massage" from the man in the early 90s. She went on to defend Nassar until recently. Bedford testified that she had gone to her team trainer to report that Nassar made her uncomfortable, who cautioned her not to do so. "Please know my forgiveness toward you is sincere. Especially in the light...of the forgiveness that's been granted to me, that I should be called a child of God... What you've done...is not who God intended you to be." "After hearing the brave stories of my friends and other survivors, I know that this horrific experience does not define me. I am much more than this. I am unique, smart, talented, motivated, and passionate. I have promised myself that my story will be much greater than this and I promise all of you that I will never give up." 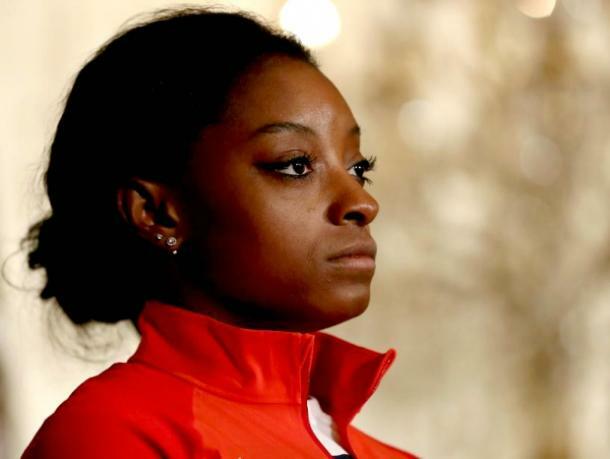 The Olympic medalist posted a long statement on Twitter detailing her abuse, writing that Nassar's behavior was "completely unacceptable, disgusting, and abusive." "I won't let one man and the others than enabled him, to steal my love and joy." "The army you chose in the late ’90s to silence me, to dismiss me and my attempt at speaking the truth, will not prevail over the army you created when violating us." "As it turns out, much to my demise, Dr. Nassar was not a doctor, he in fact is, was, and forever shall be, a child molester, and a monster of a human being. End of story! He abused my trust, he abused my body, and he left scars on my psyche that may never go away." 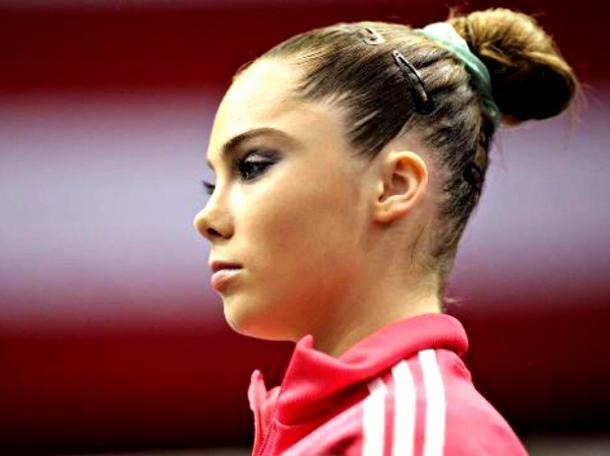 Another member of the 2012 Olympic team, Maroney's testimony was especially horrifying as she recounted the night Nassar gave her a sleeping pill after which she woke up receiving a "treatment." Initially, the U.S.A Olympic Committee threatened to fine Maroney if she made a statement due to a nondisclosure agreement she signed in 2016. But after celebrities like Chrissy Teigen and Kristen Bell offered to pay Maroney's fine, the Olympic Committee released a statement saying they wouldn't go through with the fine. Jamille Jones has lived teaching English in Hiroshima, Japan for 2 years. She's an Asian culture enthusiast, chocolate addict, video gamer, and loves to teach for the heck of it.